Educators, community members, parents, and students encouraged to nominate by April 14, 2017 deadline. Lakeville, MN, March 24, 2017: Learners Edge is excited to launch its 2017 Learners Edge Amazing Teacher Award. Nominations are currently being accepted. This award is designed to recognize amazing teachers that are making a difference in the lives of their students, their schools, their communities and ultimately society as a whole. Teachers play such a critical role in the development of our youth and Learners Edge wants to recognize these exceptional educators. 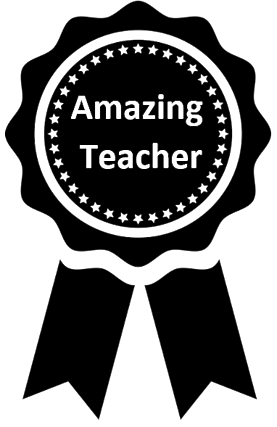 The 2017 Learners Edge Amazing Teacher Award is for United States teachers and will recognize 3 full-time teacher/educators in Prekindergarten - 12th grade classrooms. One grand prize winner will be selected along with two runner ups. All nominees must be currently employed as a classroom teacher, school counselor, or school administrator. Nominations must be made by a colleague, student (current or former), parent, or community member. Nomination forms are available online (https://fs22.formsite.com/LearnersEdge/form44/index.html) and are due by 11:59PM CDT, April 14, 2017. The Amazing Teacher award grand prize winner receives a $500 for his/her own personal use, an award plaque and a $500 donation to their school of employment. Each runner-up receives $250 for his/her own personal use and a $250 donation to their school of employment. Nominees of the Amazing Teacher award should demonstrate or have demonstrated an extraordinary ability to lead students from all backgrounds to academic excellence in caring classroom communities, and a passion for teaching and a deep commitment to advancing within the teaching profession. Learners Edge Amazing teacher award nominations are reviewed by a committee of Learners Edge staff. Award recipients will be announced in May 2017.